A while back I was making nachos and thought I wonder how good this would be with Doritos as a base? Of course, I didn’t have any Doritos in the house and didn’t give the idea much more thought. Whhaaaaattttttt??? And that is how Doritos Nachos were born for us. I don’t think we’ll ever go back! 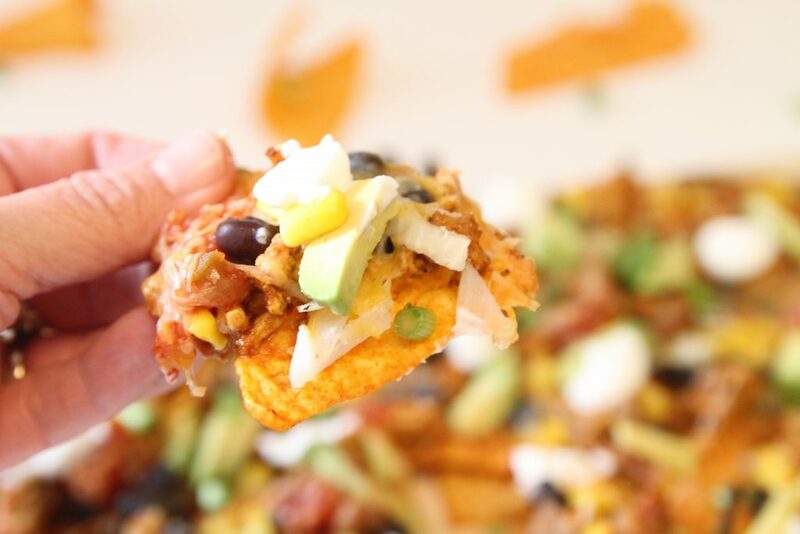 So, if you’ve never used Doritos as a base for your nachos you have to give this a try. Grab an oven-safe tray, cover with parchment paper and then layer it with a single layer of Doritos®, cheese, corn, black beans, onions, refried beans, salsa. 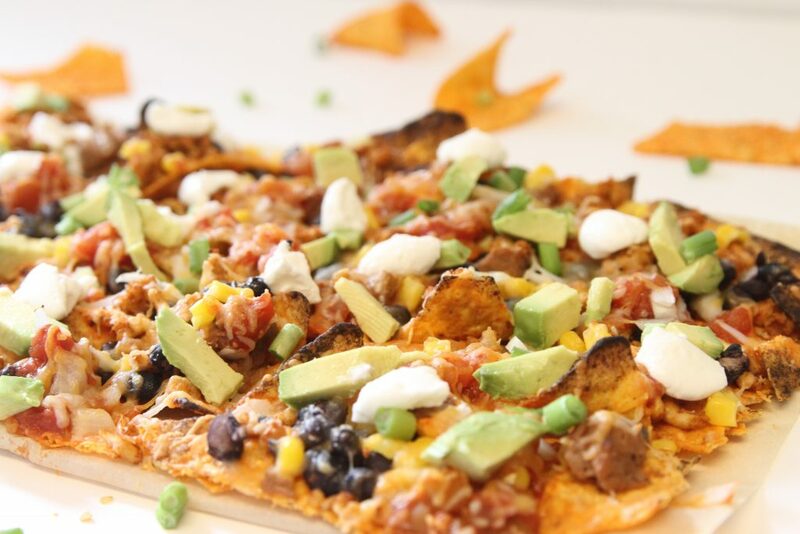 Whatever you would normally use on your nachos just use on the Doritos®. Pop the tray into the oven at 350 for 5-10 minutes or until the cheese has melted. That’s it, easy, peasy. 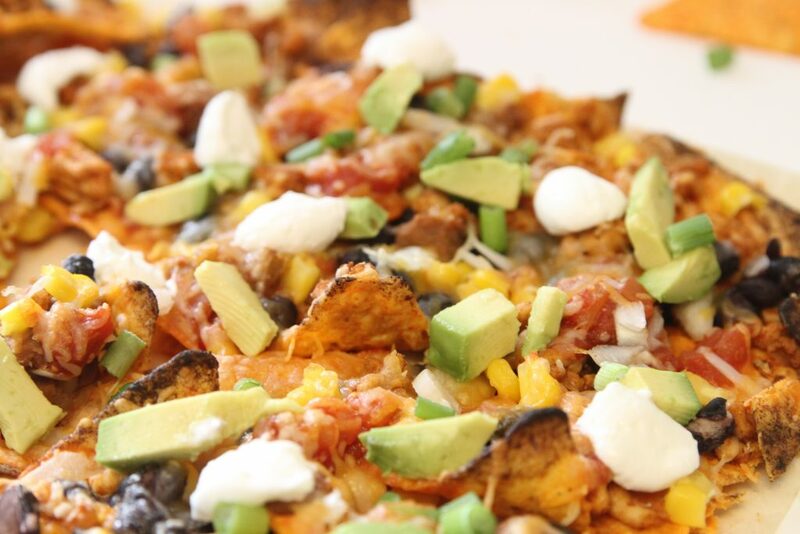 Don’t bake the Doritos nachos too long or they’ll start to get a little crispy on top. Even with the crispy edges on some of the Doritos, these turned out so very, very good! Next time your make nachos try replacing the plain tortilla chips with Doritos. Place a layer of Doritos on the tray. Top with nacho toppings of choice. Repeat so that you have two layers of chips and toppings. Bake at 350 for 5-10 minutes or until cheese is melted. Top with avocado, green onions and sour cream. 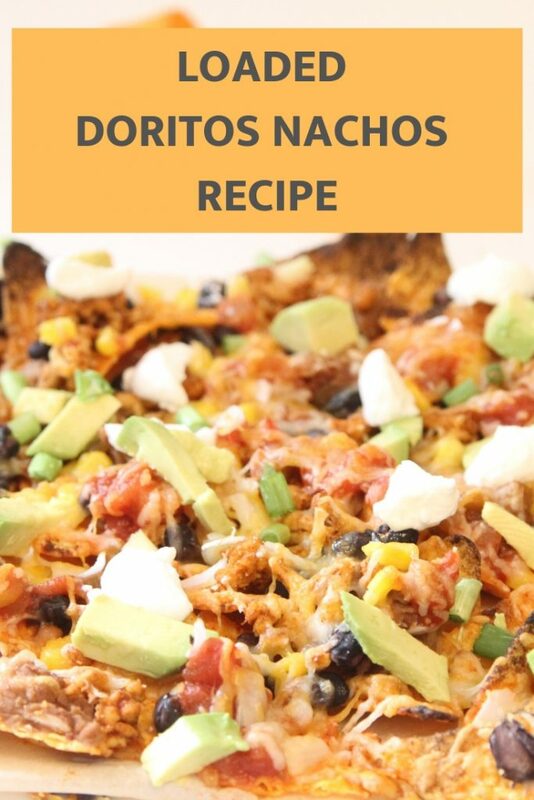 Ok, so I’ve made nachos many a time, but never thought to try it with Doritos! My boys all love Doritos (and who doesn’t love nachos), so definitely going to try this one out very soon. Thanks for stopping by this week’s Thoughtful Spot! 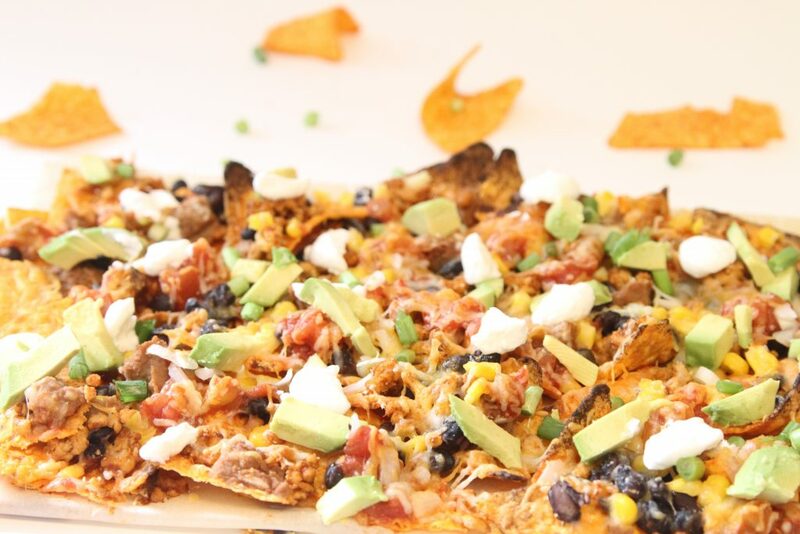 I love the addition of the corn to your awesome Nachos, they look delicious! Hope you have had a great weekend and thanks so much for sharing with Full Plate Thursday! these look delicious. Your recipe is being featured as a favorite by a host. Thanks for linking up to Tell Me About It Tuesday. I put chopped up halepinoes in mine and melt the cheese and Doritos in the microwave such a tasty quick meal yummy ! !